WE WILL MAKE IT A REALITY! ALL YOUR GRILLING NEEDS AND FANTASIES! 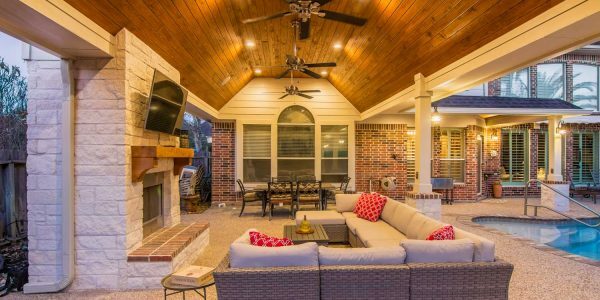 HHI Patio Covers Houston specializes in building custom patio covers, outdoor kitchens, and carports. We guarantee to match your existing home construction. 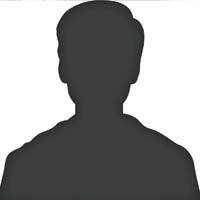 Our vast knowledge of available products and outstanding service since 1981 makes us superior in this industry. We service customers in Houston, Katy,Towne Lake, Cypress,Cy-fair,Memorial, and Tomball. 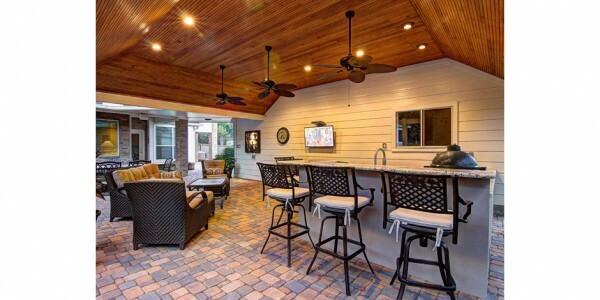 HHI Patio Covers Houston is an accredited business by the Better Business Bureau (BBB). We are proud recipients of the BBB Gold Star Certificate for the past seven years. 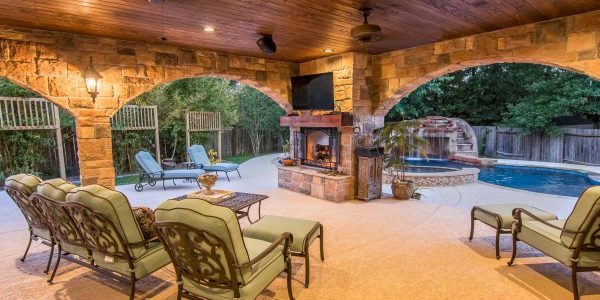 Houston Home Improvements & Construction is a registered and bonded residential builder in the state of Texas. 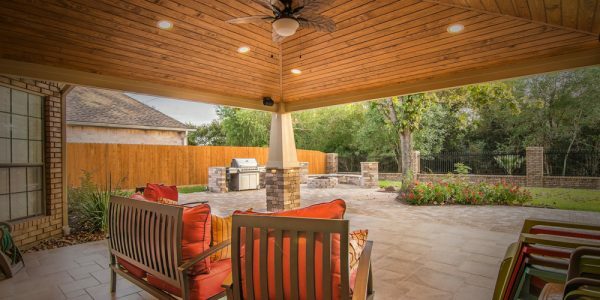 More people want to enjoy the outdoors in the privacy of their homes, adding a custom patio, porch or a deck enclosure to your home can facilitate such activities that you, your family, friends, and neighbors can enjoy for years to come. 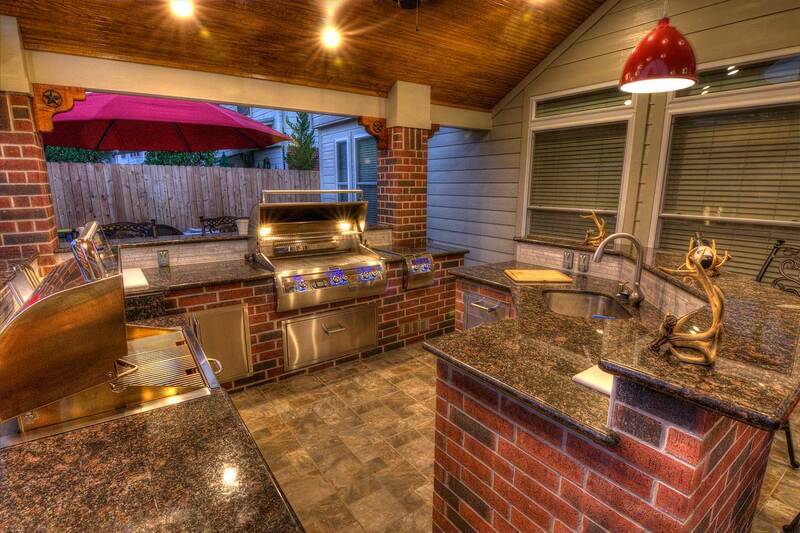 Take your barbecues to the next level with a custom designed, fully equipped outdoor kitchen. 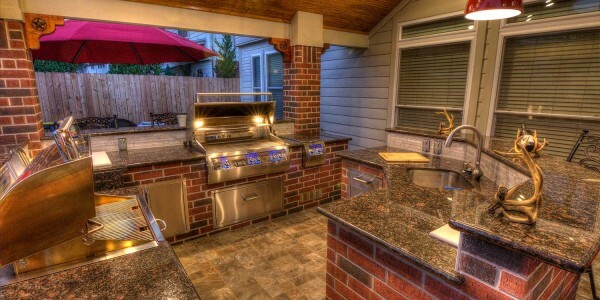 Choose from a selection of features including built in grills, refrigerators, built in bars, and more! You'll love how easy and enjoyable entertaining can be! 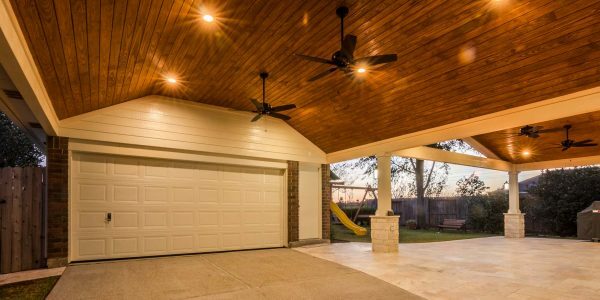 A carport can protect your vehicles or other valuables from the elements, whether harmful summer rays, winter snow, sleet or rain. HHI Patio Covers will make your carport blend with the existing architecture of your home for seamless integration and look. 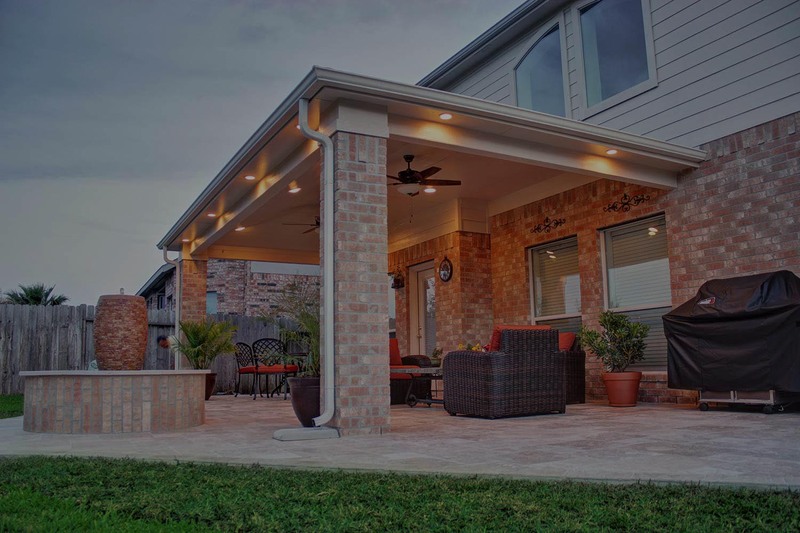 See what our customers are saying about HHI Patio Covers Houston. I can't say enough about HHI. The quote to build process was excellent. They handled all of the communication with our HOA and provided all of the necessary drawings and designs that were requested. The crew did an excellent job of keeping the work site clean and organized. We love the finished nation and would highly recommend HHI to all of friends. We're very pleased have contacted HHI for the covered porch on our house. They did an excellent work, on time and on budget. The whole crew is very clean and organized. We recommend everybody this company. Hugo and his team did an excellent job with my new patio cover and I would recommend him to anyone. Great service, great work! Very please with Hugo and his crew they finished the job before the promised due date , they handled everything on a professional manner, kept everything clean and organized. My husband and I definitely made the right choice by hiring Hugo with HHI Patio Covers. Hugo and his team took a set of detailed drawings and constructed a beautiful back yard pavilion. He exceeded our expectations in every way and we couldn't be happier with the outcome. Throughout the entire process Hugo remained readily available if needed, easy to speak to and went above and beyond to make sure we were happy with the end result. We love our new pavilion and will enjoy it for many years to come. I would highly recommend Hugo and his team to anyone wanting to build a porch or pavilion. Thank you Hugo and your wonderful team!!!! They did an excellent job building our back patio. Very professional and high quality work. Highly recommend. Thank you Hugo for the beautiful covered patio!!! Your guys worked quickly efficiently and did a fabulous job!!!!! Can't wait for the next project! Hugo and team were very prompt, they followed through, and kept their word! We are very pleased with our patio cover...the guys did an amazing job, excellent workmanship, they finished in under two weeks, and we've gotten nothing but compliments from our friends and family. They were recommended to us by a neighbor and we've already recommended them to one of our friends. Excellent workmanship! 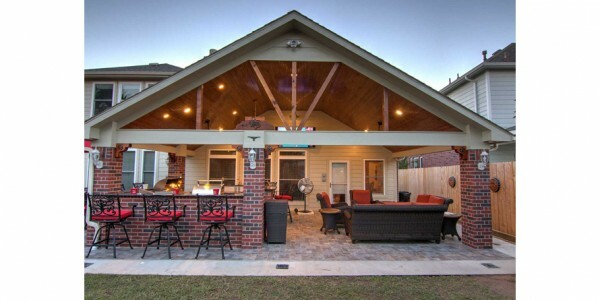 Houston Home Improvements and Construction built a 12x30 patio cover at our home. The patio cover turned out beautiful. It looks like it is original to the house. They were there for us every step of the way, from the design, to material selection, to finishing touches such as ceiling fans, power outlets, and recessed lights. 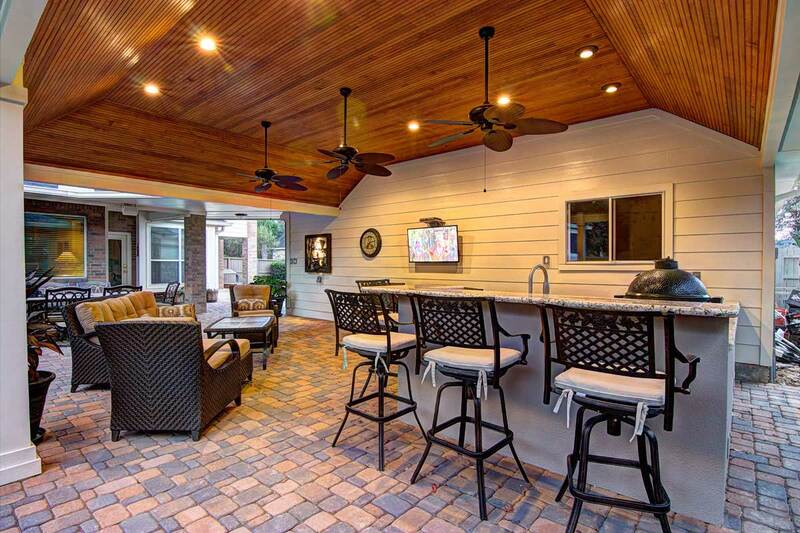 The entire patio cover was completed in 11 days, from demo of an existing wooden deck, to the finished product. The crew worked hard, was very friendly, and kept a clean job site. We have since had them remodel two of our bathrooms. They did an excellent job on both. We wouldn't trust anyone else with our home improvement projects. Top notch company, and we would highly recommend them. Very pleased! Will recommend! We had a patio cover done by HHI and we love it! We already had a pool but need a patio cover to go with it to enjoy our summers. They did an amazing job, no problems at all. The whole process was stress- free! Great communication and was kept in the loop throughout the whole process. Everyone is very professional.